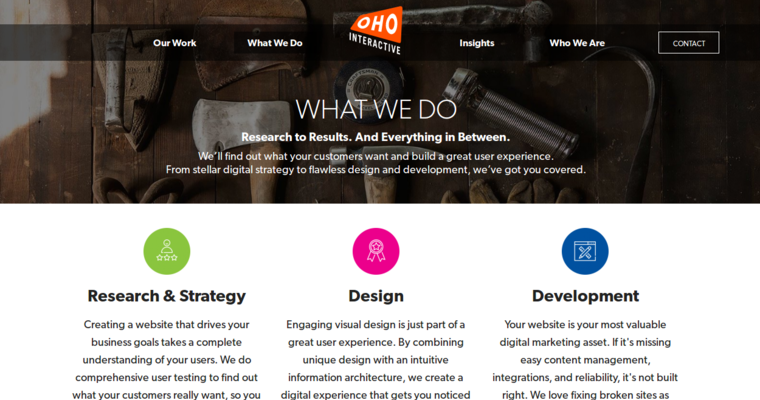 OHO Interactive is a design firm based in Somerville, Massachusetts. The frim provides a wide range of services for its clients. Some of these services include web design, development, research, content strategy, Drupal support, digital marketing for higher education and much more. 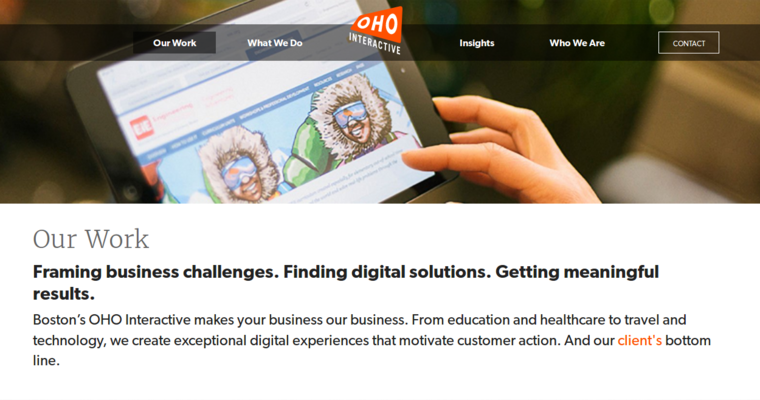 OHO Interactive has worked with a wide range of clients, many of which are included in the industries of higher education and healthcare. Some of OHO Interactive's most notable clients include Oberlin College & Conservatory, College of the Holy Cross, Boston Conservatory at Berklee, Tufts Health Plan, Dartmouth, Cambridge College and more. 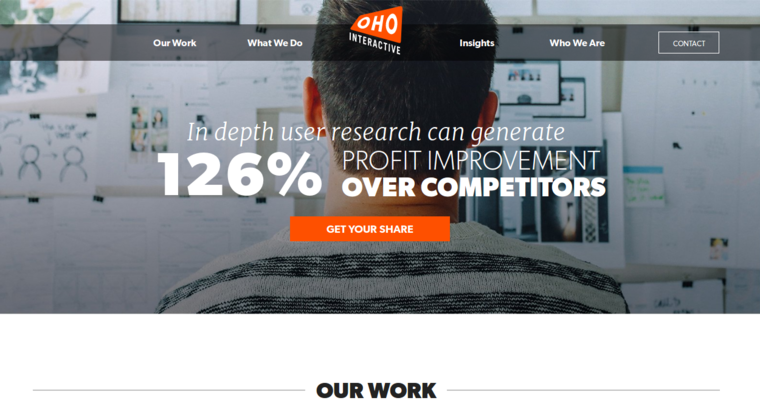 It is through this work that OHO Interactive has be recognized by The Webby Awards, MarCom Creative Awards and New England Direct Marketing Association.